Willis Holidays provide a wide range of fantastic privately owned static caravans at the Butlins Skyline Caravan Village Skegness with entertainment and leisure facilities for the whole family to enjoy! Please take a look at our 'Platinum Prestige', 'Platinum', 'Gold Plus', 'Gold' and 'Silver' caravans to decide which caravan is right for your holiday. 4 Butlins passes included with 3 bedroom caravans and 6 Butlins passes included with 4 bedroom caravans in the published price of your Family Caravan Holiday when you book with Willis Holidays. Extra cost for additional passes apply. Please see 'Price & Availability' Page. A caravan holiday at Butlins is a great place to have your self catering holiday for the whole family to enjoy. We pride ourselves in how we present all our caravans, giving them all our personal touch and attention to detail throughout. Booking is now so easy. You can simply book the caravan of your choice and make your on-line payment by Debit Card or we are now offering the option to pay by Bank Transfer. So don't miss out on the caravan of your choice. All bookings subject to a £5 booking fee. Don't forget - Every booking includes Butlin's passes! These fabulous 14 ft wide top of the range caravans offer you and your family luxorious accommodation during your stay at Butlins Skegness. They are the way to holiday in style, comfort & luxury. 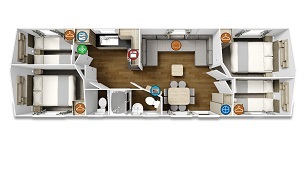 All come with integrated washing machine & dishwasher. These holiday homes are stylish, roomy and modern and each have their own unique features for you to enjoy. Complimentary Welcome Packs. These fabulous 12 ft beautiful 3 bedroom caravans offer you and your family luxorious accommodation at Butlins Skegness. These caravans are very popular with many returning guests. All these great caravans are located on the sought after areas of Dunes & Poplars which are just a 3 minute walk over to the main complex. Each of the caravans are unique in style and gives you the assurance you will have a very comfortable stay in your accommodation at Butlins Skegness. 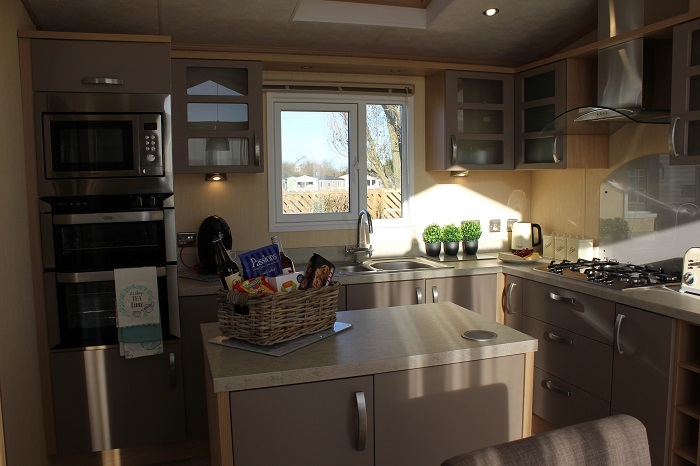 Our Gold Plus 2 & 3 Bedroom caravans at Butlins Skegness are superb caravans. They are 12 ft wide caravans and are situated on the lovely areas of Poplars, Dunes & Sandhills, all within a few minutes walk to the main resort. All of the caravans have gated verandas, are all double glazed and have full central heating. They are ideal for all weather holidays. We pride ourselves in the quality of these caravans and guests come back year after year to have their holiday in them. These caravans at Butlins Skegness are our 12 ft wide models with 3 bedrooms that don't quite reach the Gold Plus Standard. However, they are still very comfortable caravans and all have large gated verandas. The caravans are situated on The Retreat, Paddocks & Sandhills. These caravans at Butlins Skegness are our 12 ft wide models with 3 bedroom Silver Caravans, a great & affordable way to stay at Butlins Skegness. They are clean and comfortable with double glazing and full central heating. The caravans are situated on Dunes & Poplars, so great locations, just a 3 minute walk to the main resort.